Up, walked Mix and breakfasted. 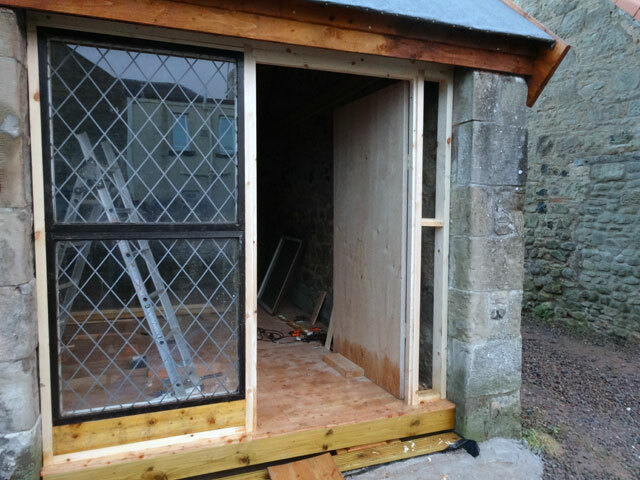 Tom arrived early and we were soon at work on the bothy, our task for today to make a door and fit it – something which relied heavily on Tom’s considerable joinery talents. By the end of the working day, the job was all but done. My picture shows the door screwed back, out of the doorway because it was important to try to keep it dry until it can be painted tomorrow. Today Olive and Mum both went to have their hair done, Rachel and Digger were the drivers, and later in the day Mum went to her Tai Chi class while Rachel worked in the stables preparing for the kilt-making classes which will start next week. Once Tom went off home for the day I set about gutting my bathroom, always a major task. 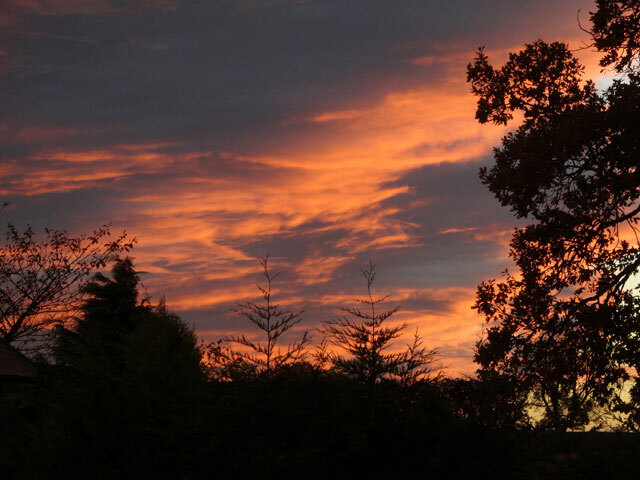 Then it was time for supper (after standing and watching that spectacular sky). Finally, Rachel and I watched a Midsomer Murder before seeking the warmth and comfort of our bed, first having walked the dogs and put them to bed. It has been a really good day.